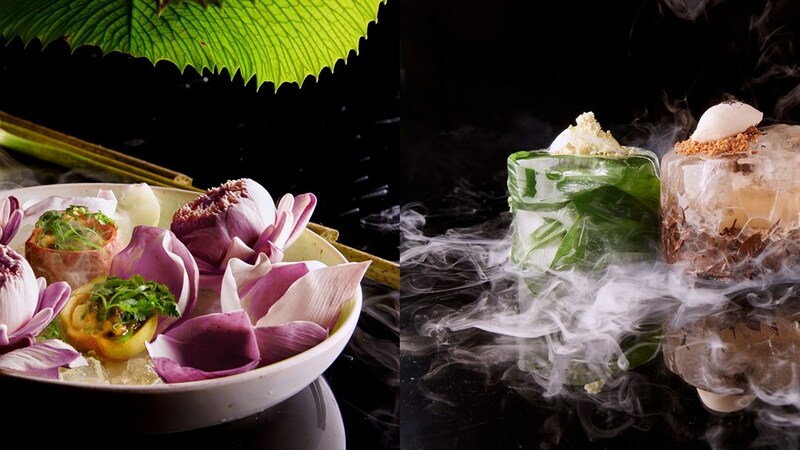 Bangkok, Thailand, 2019-Apr-11 — /Travel PR News/ — A new season has arrived at the home of modern Thai gastronomy, where exquisitely composed dishes are prepared using an abundance of fresh local produce to create the tastes of summer. The new set dinner menu features Thai ceviche with halibut passion fruit; larb duck salad with foie gras and mint; and seabass with white five spices and fennel. This extraordinary culinary journey continues with Flowers of Thailand, a delicious dessert inspired by the work of artist Vers Yves Klein, whose works often include ultramarine blue. The journey concludes with Leaves of Thailand’s tea, pandan, and kaffir lime, which is presented in a very creative and modern style. “The vision behind our new menus reflects our commitment to continue to exceed guest expectations and evoke genuine emotions, creating memories that last beyond the final bite by ensuring fresh, innovative and tailored cuisine. We look forward to welcoming guests to enjoy a truly extraordinary culinary performance as we choreograph different tastes through each dish with amazing Thai flair,” said Head Chef Chayawee Suthcharitchan. The aim of the restaurant is to dazzle and form a memorable culinary experience for every guest. Chef Chayawee invites guests to enjoy an extraordinary culinary performance as chefs choreograph different tastes of basic Thai ingredients from traditional recipes in daring combinations. Behind Sra Bua by Kiin Kiin’s exquisitely composed food presentation using global cooking techniques, the familiar flavours of traditional Thai dishes are well maintained. The cuisine is widely recognised as “modern gastronomy at its best” – making it very different from home-style cooking. Diners may experience a curry served with the texture and temperature of ice cream, and bites of lobster locked inside gelatinous pearls that melt in the mouth with a sip of Tom Yam broth. Everything from fish sauce to prawn crackers is homemade in the Sra Bua by Kiin Kiin kitchen. This entry was posted in Business, Food & Drinks, Holidays, Hotels, Luxury, Resorts, Travel, Travel Management, Travel Services, Travelers and tagged Bangkok, Chef Chayawee Suthcharitchan, Chef Henrik Yde Andersen, menu, Michelin star, restaurant, Siam Kempinski Hotel, Sra Bua by Kiin Kiin, “Summer Journey”. Bookmark the permalink.